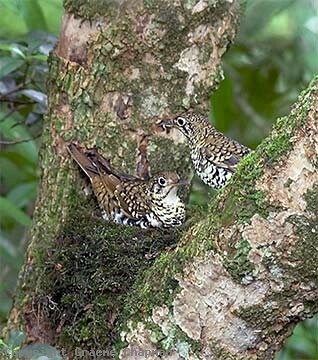 There is a broad overlap in the ranges of the two ground thrushes in eastern Australia and because the Russet-tailed Thrush has only relatively recently been regarded as a species, nearly all the older sight records made in the area of overlap are no longer valid. In southern Australia south of about Sydney, through to Melbourne and across to Adelaide, and also in Tasmania there is no problem because only one species occurs, the Bassian. North of the Hawkesbury River near Sydney right up the east coast to around Cairns is the range of the Russet-tailed Thrush, mainly in rain forest at lower altitudes below 500 m. Above that altitude Bassian Thrushes occur, but there is considerable overlap where both species are found together. In such places great care needs to be taken to make an accurate identification. The sure fire way is to listen to their calls. 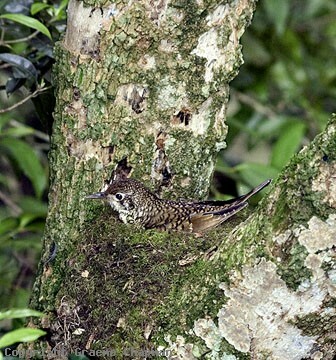 The field marks referred to in the field guides are subject to a lot of variation and very difficult to evaluate in the low light levels of the shady places where ground thrushes usually live. Russet-tailed is actually a bit of a misnomer - Russet-rumped would be much more appropriate. I find their distinctly russet-coloured rump the best field mark. The pictures below were taken at O'Reilly's Rainforest Resort in the ranges near Brisbane. Russet-tailed Thrushes are the common species around the guest house and all along the entry road - if you go higher up the mountain, Bassian Thrushes start to appear. 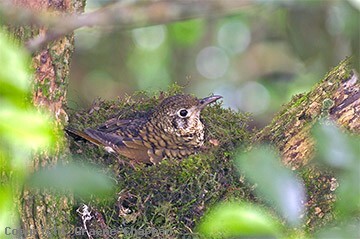 BUT, I do know of one territory occupied by Bassian Thrushes quite close to the guest house. 780202-D ... Russet-rumped would be more apt - unfortunately not always easy to see. 780204-D ... 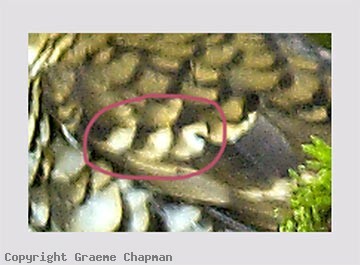 The pattern on these secondary covert feathers confirms the I.D. as Russet-tailed.